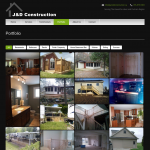 Export experience in Home Construction and Home Renovations. 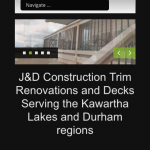 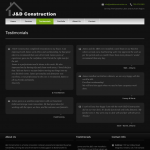 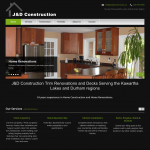 J&D Construction is a home renovation company owned and operated by James VanderWal, serving the area from Barrie to Bobcaygeon to Bowmanville to Scarborough. 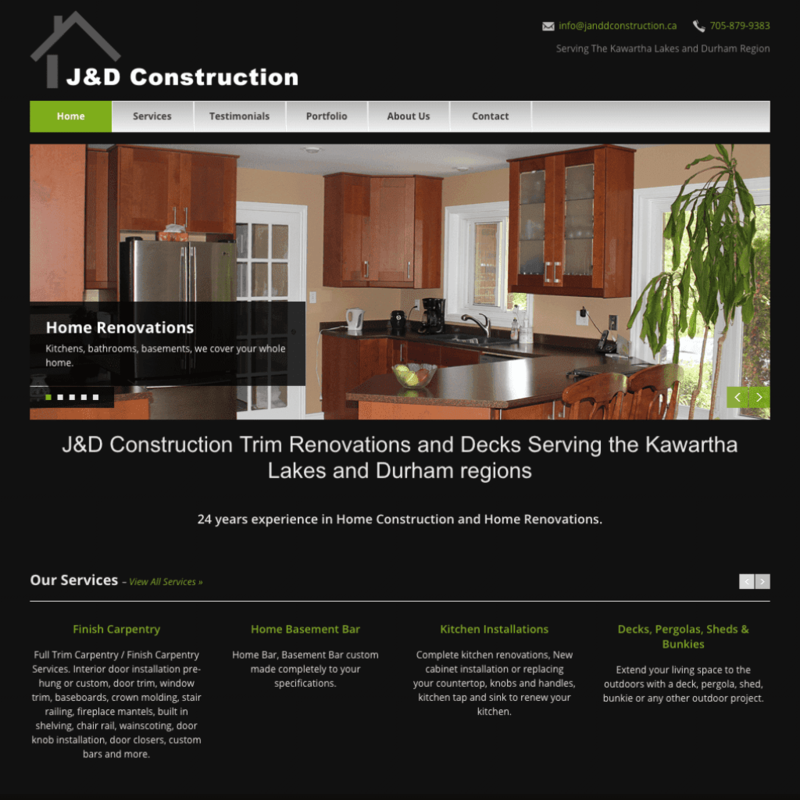 With more than 20 years of experience in residential home building and home renovations J&D Construction can renovate your home inside and out. 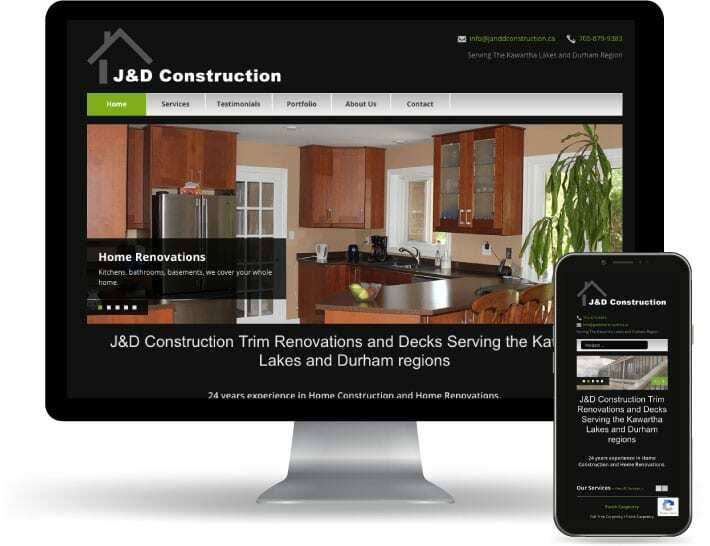 James worked approximately 10 years for a custom home builder with hands on experience throughout the complete home building process. 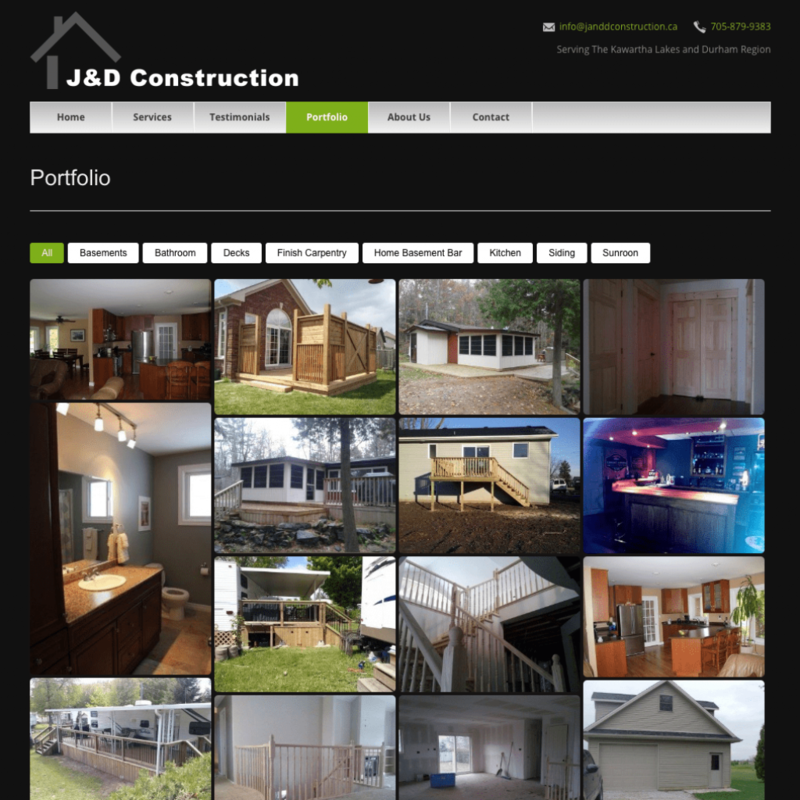 In 1999 J&D Construction was started in the Sarnia area contracted for framing and trimming custom homes for the local home builders, and hired for many home renovations by area residents. 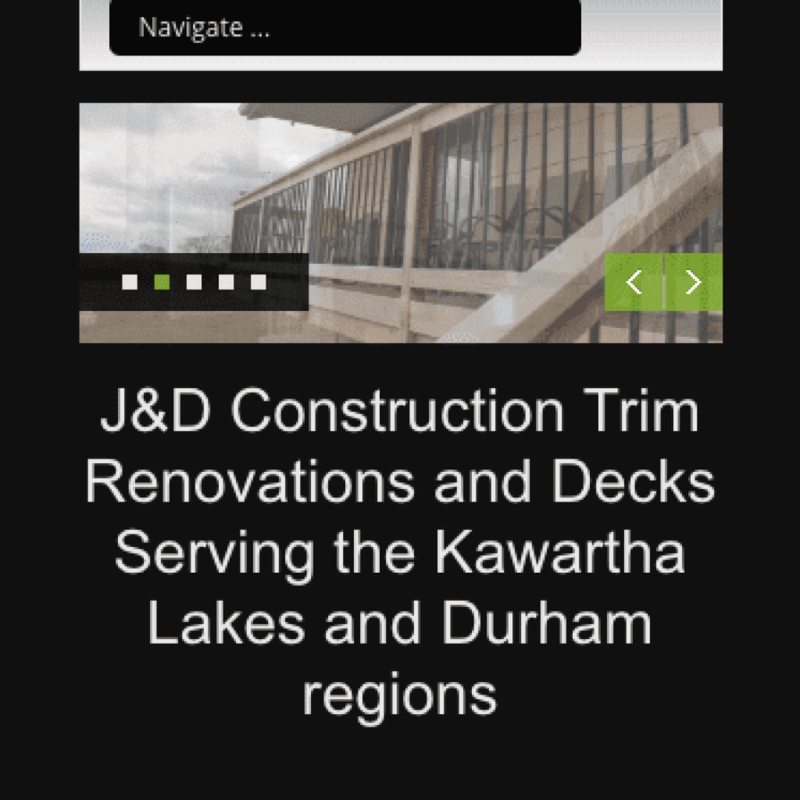 In 2010 J&D Construction moved to the Kawartha Lakes area for the opportunity to renovate homes in a market that included cottage country. 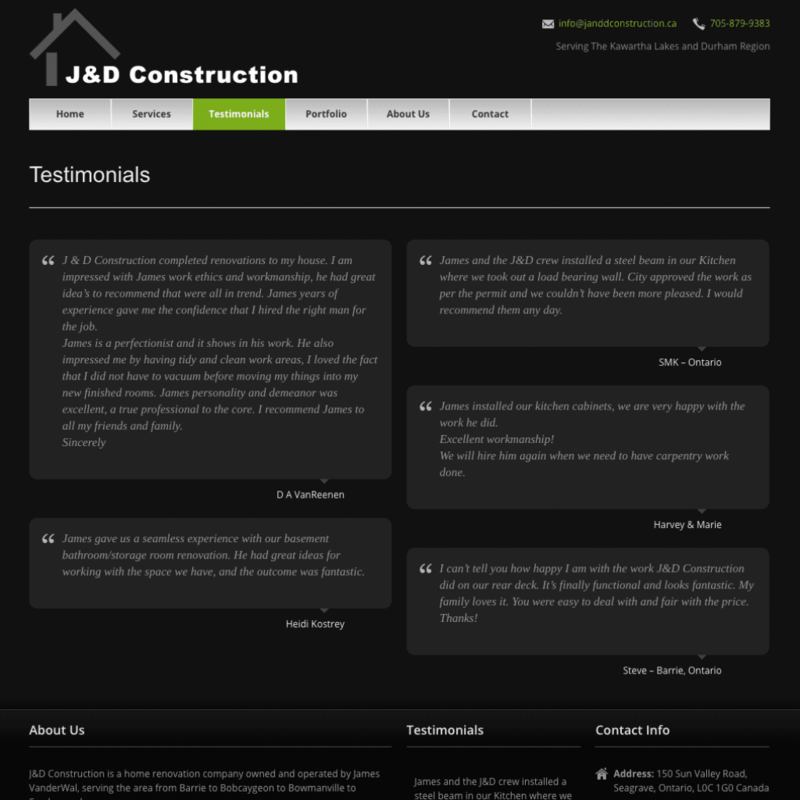 With the years of experience and the many services that J&D Construction has, James can accomplish whatever the project may be with the highest degree of quality.